AVTECH’s Relay Switch Sensor allows low voltage devices to be turned on/off in response to an event going in or out of an alarm condition. 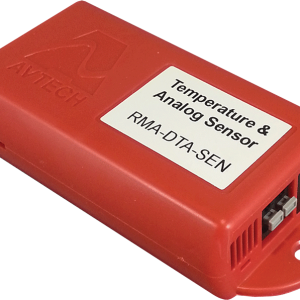 The AVTECH Relay Switch Sensor supports up to 3 devices and provides a general alarm. It is compatible with AVTECH’s Room Alert 32W, 32E, 12E or 3E environment monitors Via AVTECH’s Light Tower & Relay Adapter (LTA). The Relay Switch Sensor is compatible with the Room Alert 4E via a direct connection. 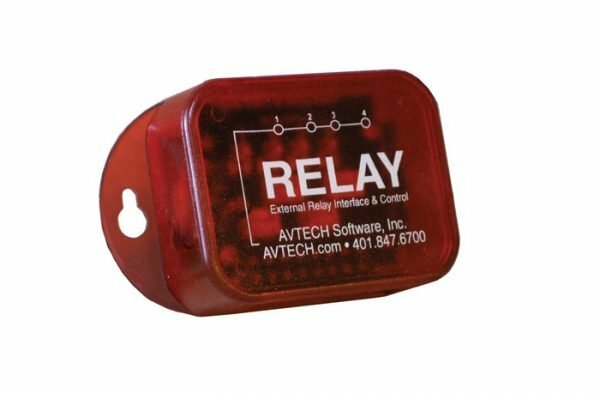 The AVTECH Relay Switch Sensor allows low voltage devices to be turned on/off in response to an event going in or out of an alarm condition. The Relay Switch Sensor supports up to 4 devices with visible relay status lights. Each relay supports loads up to 0.3A at 125VAC or 1A at 24VDC. The first three (3) relay outputs on the Relay Switch Sensor can be individually controlled and activated directly from the Room Alert Web Interface or in response to an alarm condition. The fourth relay output can be used as a general alarm output and will be activated whenever any of the first three (3) relay outputs are activated. This is an instant ‘Plug & Play’ Switch that connects directly into the Light Tower Connection Port on the back of any Room Alert 32W, 32E, 4E or 3E ID box via the included 10´ Extension Cable. 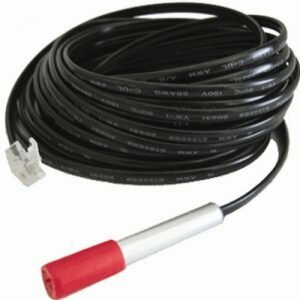 Switch cable is provided to connect the relay outputs to the desired device such as a building alarm panel or other notification system to automate advanced alerting and response to static building alarms that do not notify staff. User’s can also connect it to a generator, back up HVAC unit, fan or water pump to turn it on/off in response to an alert condition. 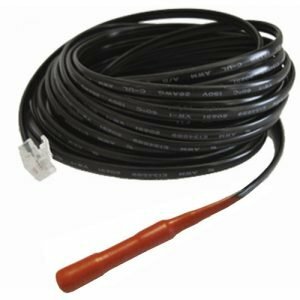 Cable distance can be extended from the standard 25′ to approximately 900′ by using standard speaker wire, twisted pair or any reliable low voltage 2-wire cable. The AVTECH Relay Switch Sensor is compatible with AVTECH’s Room Alert 32W, 32E, 4E and 3E environment monitors. The Relay Switch Sensor is connected to the Room Alert 4E via the Light Tower Connection Port on the back of the Room Alert 4E. 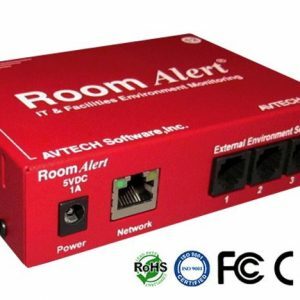 Room Alert 32W, 32E and 3E monitors require a Light Tower & Relay Adapter (which includes a Relay Switch) in order to connect the Relay Switch Sensor.